Does your business have a strategy for responsible water use and the stewardship of water resources? PTE Ltd is a service sector business. We are office-based and have associated needs for office consumables and business services, such as paper and IT equipment and support. We are based in Small Works Kings Cross, a small and unique co-working space based in an old laundry. Most of the office supplies and services, including water, are therefore not within our remit. By renting office space from Small Works, along with four other social businesses, rather than renting our own, it is arguable our overall water usage is reduced. However, this was not a consideration in choosing our office location some 18 months ago. Our employees and visitors to our offices use water through use of the kitchen and the bathrooms. Our Company Code of Conduct contains a statement on Water Efficiency: we encourage our employees to limit water usage when possible and report any leakages. Given our size and sector, we do not have specific policies or practices that address water stewardship. At our request, Small Works has recently contacted the water supplier for the office building in order to gather information on our water usage. With this information, we may be able to improve the efficiency of our usage in the future and evaluate whether we are using water as efficiently as we can. 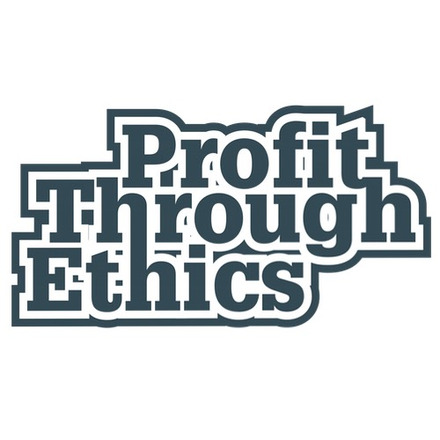 Our work includes identifying pressing social, environmental and ethical concerns and working with experts - inside and outside business - to help define and describe POOR, OKAY, GOOD and EXCELLENT practices. Our tool and processes are designed to assist businesses which are striving to be more responsible on all the issues which impact on them and on wider society and the environment. Water use and water stewardship is one of the 49 issues in our current questionnaire. We are often in a position to improve our own knowledge and adapt and improve our policies and practices accordingly. We are at an early stage in thinking about water use and water stewardship and hope to be able to adopt better practices going forward. While seventy percent of the Earth is covered with water, approximately 1% of the world's water is readily available for human use and all of that stems from precipitation over time. The annual rainfall on the continents is finite. Given that a kilogram of wheat bread requires 1,600 litres of water to produce and a single litre of beer requires around 300 litres of water to produce, it is plain to see that as the global population grows, water is becoming an increasingly scarce resource, and one that requires stewardship. The ramifications of water scarcity are becoming acute. The World Economic Forum's 2016 Global Risk Report places water crises in the top three Global Risks in Terms of Impact, third after failure of climate change mitigation or adaptation and weapons of mass destruction. Water scarcity is an excess of water demand over available water supply. It is not purely an issue of physical water availability. Rather, scarcity is defined by how we manage and allocate the resources that are available. For individuals and communities, water scarcity is a social construct - a consequence of being born poor in the 'wrong' place. For ecosystems, water scarcity is the result of man-made processes such as unconstrained abstraction for agricultural or industrial use, unsustainable demand from increasing populations and urbanisation or because of variabilities in resource levels driven by climate change. As the UNDP noted in their landmark 2006 report Beyond Scarcity, the world's water crisis is rarely a problem of absolute scarcity but is instead one of governance. Water scarcity is intrinsically linked with how we collectively manage water resources and water access. Water abstraction may cause long-term harm to catchments and aquifers, leading to alteration of habitat, local climate and sustainable water supply. This affects community health, challenges food supply, inhibits economic development and may lead to conflict within local communities and between all water users. Water scarcity also affects major energy sources (oil, gas, biofuel, electric power) because of the very large amounts of water required for fuel production and power generation. Water treatment, in addition, is a major consumer of fossil fuels. Water can be a substantial operational cost for business. Saving water through good management makes sound business sense. But reducing on-site water use will not, on its own, lead to improved water management by the public and private institutions with the ultimate responsibility for the resource. In order to mitigate the business risks, as identified in the WEF Global Risk Report: sustainability of supply; resource pollution; lax regulatory control; and the social license of businesses operating adjacent to water-poor communities, it is necessary to move from an on-site, efficient water management mindset to a much broader focus contributing towards the effective stewardship of a shared resource. Stewardship considers the impact of business activities on water availability and quality beyond organisational boundaries and recognises water to be a common pool resource requiring collective responsibility [and action?]. It is about playing an active part in taking care of something we do not own but upon which we all rely. In the words of the Alliance for Water Stewardship (AWS), "Good water stewards understand their own water use, catchment context and shared risk in terms of water governance, water balance, water quality and important water-related areas; and then engage in meaningful individual and collective actions that benefit people and nature." Ensure that responsible water stewardship actions are in place to minimise negative impacts and maximise positive impacts for everyone. Tools and certification schemes are available to businesses to help and encourage them to become better at managing and to start stewarding water. A key point is that relatively small steps within a strategic approach can have a big impact. Integrating water management into strategic planning within the business as a whole. 'Economically beneficial water use' contributes to long-term sustainable economic growth and development and poverty alleviation for water users, local communities and society at large. 'Environmentally sustainable water use' maintains or improves biodiversity, ecological and hydrological processes at the catchment level. 'External actions' may be in collaboration with others in the catchment and including actions in the supply chain and the catchment as a whole. 'Integrated water resources management (IWRM)' has been defined by the Global Water Partnership (GWP) as "a process which promotes the coordinated development and management of water, land and related resources, in order to maximise the resultant economic and social welfare in an equitable manner without compromising the sustainability of vital ecosystems". 'Internal actions' are undertaken by business within the site and under the responsibility of the site management. 'Socially equitable water use' recognises and implements the human right to water and sanitation and helps to ensure human wellbeing and equity. A 'strategy' is a long-term plan of action designed to achieve a particular goal whilst taking into consideration the widest possible set of potential options and their impacts. Reacting to a short-term problem without changing your overall goals is usually tactical, not strategic. 'Water abstraction' (withdrawal) is when water is removed from any sources, either permanently or temporarily. Mine water and mine or land drainage are included. Similar to water withdrawal. 'Water conservation' is about saving water, using as little as possible. 'Water efficiency' measures how much water is used for a given function. To contribute to sustainability, the minimum amount of water feasible to accomplish a function, process, task or result should be used. However, the quality of water is also important: efficiency measures should also match the water quality to its intended use, e.g rainwater for non-potable uses. 'Water footprint' is the total volume of fresh water used in the lifecycle of products such as food, clothing or energy. Individuals have a personal footprint because we all consume these products. Countries also have their own water footprints. 90 per cent of our global water footprint relates to agriculture and food. 'Water Management' is the way water use and disposal is managed. To contribute to sustainability it should be focused on the immediate and direct costs of scarcity and efficient use of the resource. (b) The future household demand for water is likely to be a high proportion of the effective rainfall available to meet that demand. The globally endorsed definition of 'Water Stewardship' is "The use of water that is socially equitable, environmentally sustainable and economically beneficial, achieved through a stakeholder-inclusive process that involves site and catchment-based actions. Good water stewards understand their own water use, catchment context and shared risk in terms of water governance, water balance, water quality and important water-related areas; and then engage in meaningful individual and collective actions that benefit people and nature." More generally (than 'water scarcity') 'water stress' occurs when annual water supplies drop below 1,700 cubic metres per person. Below 1,000 cubic metres per person is defined as water 'scarcity' and below 500 cubic metres as 'absolute scarcity'.